What’s the point of pointy hats? 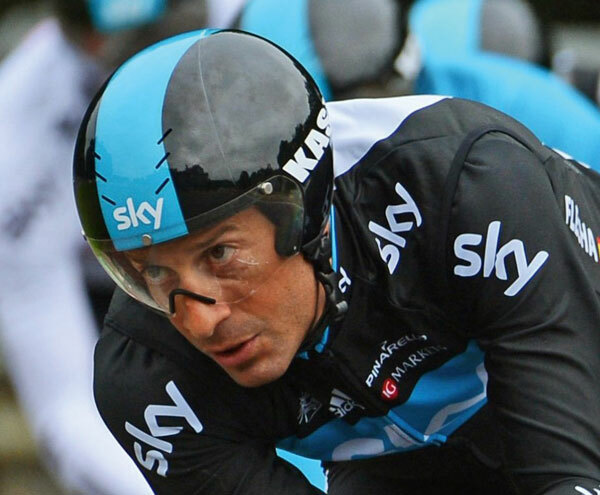 Team Sky’s latest headgear seems to be saying there isn’t any point. 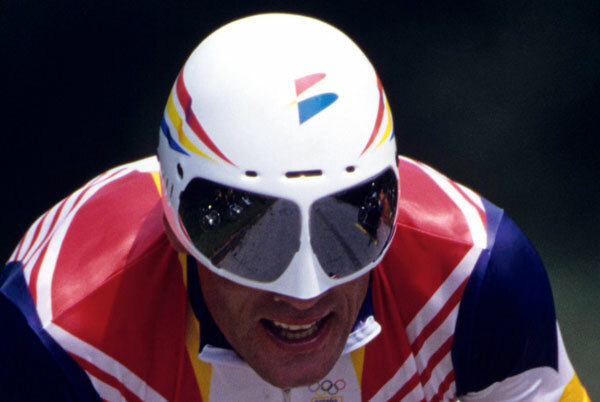 Just a few years ago, however, time trial helmets plumed behind their wearers like peacocks’ tails. As ever, there are perfectly feasible explanations derived from wind tunnel testing, but from an aesthetic point of view, like shoulder pads in women’s power-dressing, does the size of the tail mirror the attitude of the era in some way? 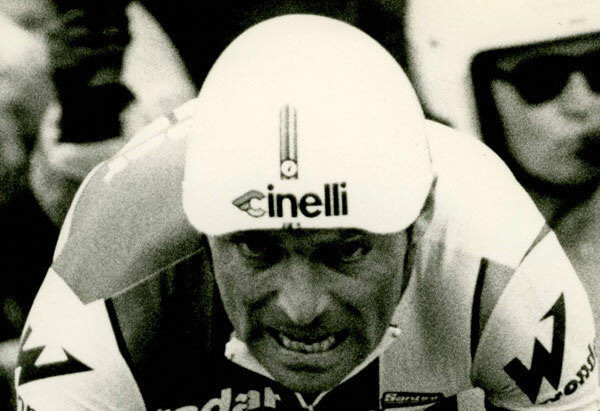 We go back to the birth of the aero helmet, nearly 30 years ago, when it was just a humble balaclava, and look at how it expanded in the brash, cocksure, super-fast invincibility of the Armstrong era, and then shrank back again in the current climate of a cleaner pro peloton and lower average speeds. Just as the wrinkles of road jerseys were eliminated by one-piece Lycra suits, it seemed rational enough to extend a hood over the rider’s head to do the same, even if it did make him look like Captain Scott on a bike. 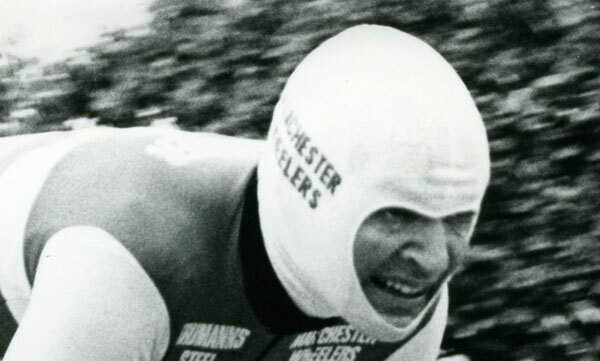 Dave Lloyd is credited with ‘inventing’ the skinhat, and in the early 1980s any serious time triallist would risk out-and-out ridicule in the pursuit of those precious extra seconds. The skinhat never caught on beyond our own dual carriageways – funny that. Moser’s was the most aerodynamic outing on a bike to date. He crouched atop enormous disc wheels, his frame was all curves and swoops beneath him and his shiny skinsuit gave him an imposing superhero-like appearance. His oversocks were made from a special cloth produced by Diadora to cut wind resistance. Even his breakfast was space age. The American pursuiters were unexpectedly brilliant at their home Olympics in Los Angeles. Later it was revealed that they had transfused blood – although not in the spirit of the Olympics, not actually against the rules at the time. 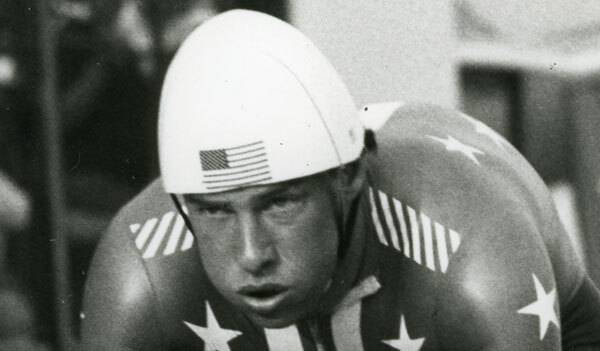 But at the time the media, desperate to understand their performance, fixated on the US team’s hi-tech equipment, which included one of the first truly teardrop-shaped aero helmets. Raleigh USA made the bikes that were branded Murray, the company that had bought ‘official bike supplier’. Bernard Hinault was by no means a Luddite when it came to the latest tech. In 1985 ‘the Badger’ was the first Tour winner to use clipless pedals, and like those of all the great Tour winners, his time trial bikes were ahead of their time. At a glance they didn’t look significantly different from his road bikes, but his blue Gitanes of the early 1980s had ovalised tubing, internal cable routing, a ‘crushed’ seatpin, and the front brake caliper was mounted behind the fork crown. 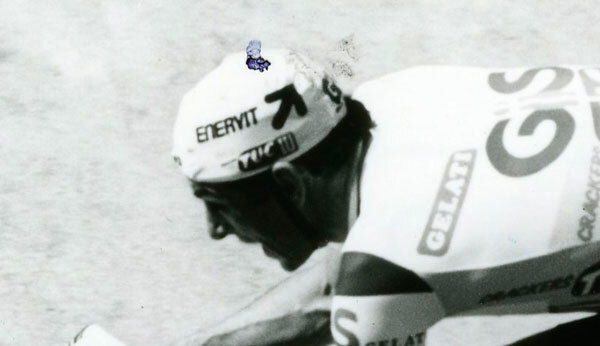 But the best Hinault and his team could muster for his head was the pisspot-style Cinelli Aerolite. Otherwise it was a bare head, Ray Bans and gritted teeth. Now things got really confusing, with the East Germans ditching the vaguely aero, lipped pursuit helmet that had become the norm in favour of a skateboard-style helmet that looks exactly like the Casco sprinter’s helmet Sir Chris Hoy has been wearing recently. What did they know that we didn’t? Well, they weren’t going to tell us, because if one of them did, they would all be thrown into the Hohenschönhausen Stasi prison in Berlin – and we probably would have been too. While Laurent Fignon gripped his bullhorn bar and battled grimly with an errant front disc, blond ponytail flapping limply behind, Greg LeMond schussed easily up and down the Champs Elysées on his new Scott triathlon bars, the air flowing smoothly over his Giro Aerohead helmet. Everybody knows what happened next. The American aerodynamicked himself into the yellow jersey by eight seconds. 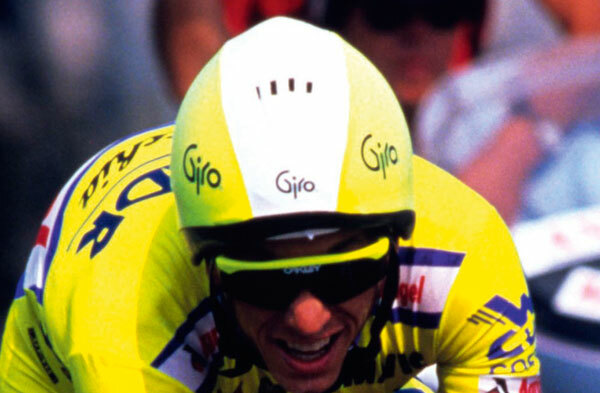 Giro founder-designer-owner Jim Gentes had taken a particular interest in aerodynamic helmets at the time. The aero era was properly under way when Chris Boardman won the 1992 Olympic pursuit on the Lotus ‘superbike’. Boardman and his coach Peter Keen were obsessive about most things involving equipment, so it bewildered everybody when Boardman rode the fastest ever Tour de France prologue in 1994 wearing a Giro helmet that ended in a stubby nub behind his head rather than a long tail, and it didn’t cover his ears either. Were Boardman’s ears so aerodynamic that at higher angles of yaw they were behaving like a sail and giving him ‘lift’? Miguel Indurain had to accept that he would never bend his freakishly proportioned body into a very aerodynamic shape, but the horsepower he could produce meant he didn’t have to worry too much about that. However, as far as his equipment was concerned he always made sure he dotted his aero i’s and crossed the t’s, using the latest monocoque bikes like the Pinarello Espada and wearing headgear that by today’s standards was probably fairly on the money. 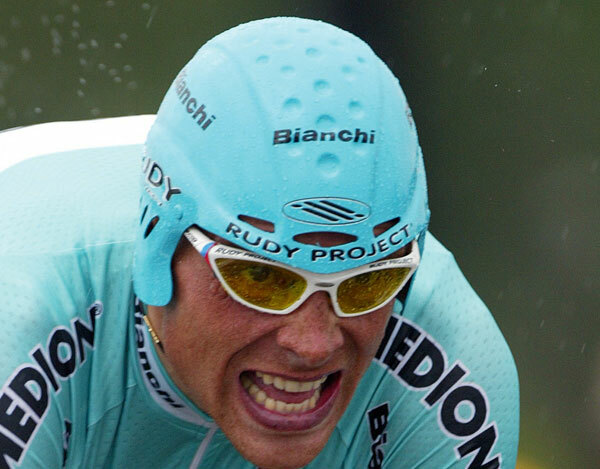 The bug-eyed Rudy Project Sweeto was developed for Big Mig and for years afterwards was a favourite with amateur TT’ers hoping to intimidate the tea ladies. 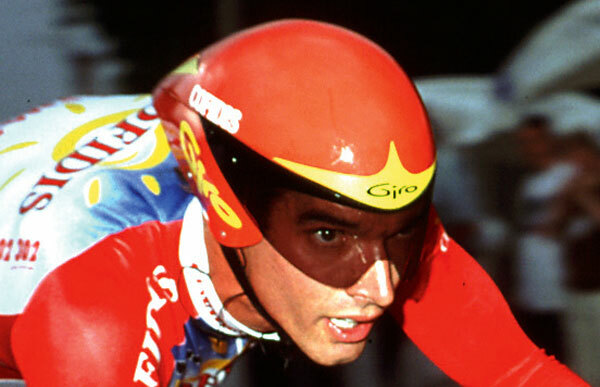 The big-name riders towards the end of the 1990s appeared to lose interest in aero helmets. By now they were gaining their extra watts through a hollow needle, so perhaps that explains why Riis, Ullrich, Pantani and co often time trialled with bare heads. 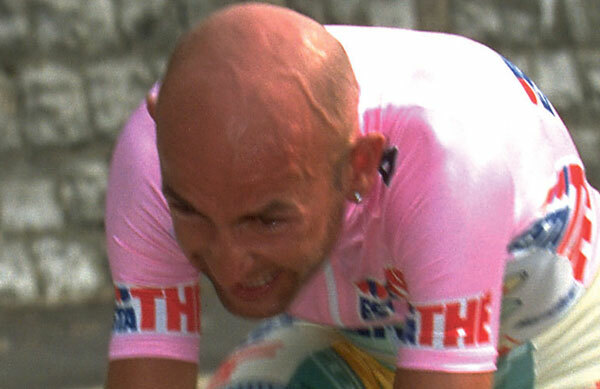 In the midsummer French heat, baldies Riis and Pantani risked serious sunburn, and in the scorching final time trial of 1997 Riis at least covered his pate with a cotton racing cap. It wasn’t enough to stop him boiling over when, having already failed in his defence of his 1996 title, he suffered a series of mechanicals and eventually the raging Dane flung his bike into the ditch. As it is for all pure climbers who try to win the Tour de France, time trialling was a classic case of loss limitation for ‘il Pirata’. But in 1998 he did it better than most. Going into the final time trial, 52km from Montceau-des-Mines to Le Creusot, defending champion Jan Ullrich trailed Pantani by 5-56 – a gap that the powerful German, the best time triallist in the world at the time, was capable of closing. David Millar brought the Tour de France back into the British general public’s homes when, in the tradition of his British prologue specialist predecessor Chris Boardman, he won on the 2000 Tour’s first day, beating Armstrong, and wore the yellow jersey for three days. 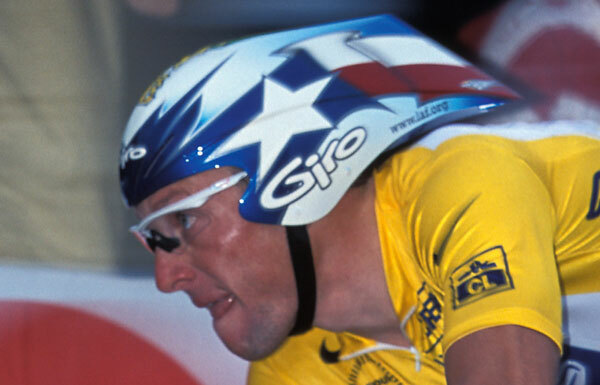 Millar wore his Giro fairing with its sleek dark visor, possibly saving a second or so over the 16.5km course at the Futuroscope theme park than if he was wearing the embarrassing eyewear that he rashly experimented with later – namely the Oakley Over The Tops of 2001. In between running the most sophisticated, professionalised and successful doping programme that sport has ever seen, Lance Armstrong took himself off to the Texas A&M wind tunnel to work on his helmet with aerodynamicist John Cobb. The first prototype, conceived by Cobb and made by Giro, was delivered to Armstrong by hand just in time for the 1999 Tour prologue, which he won. 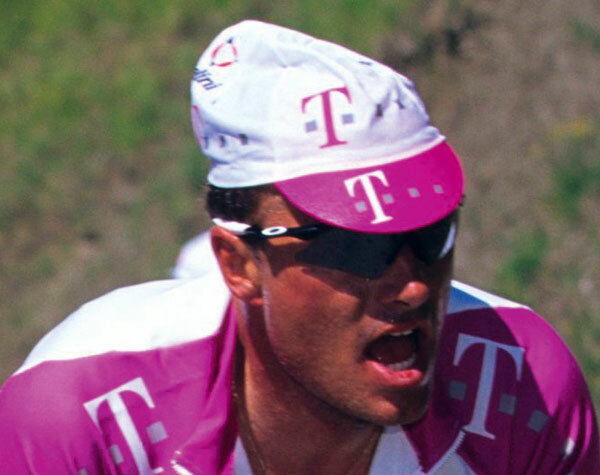 Just as he bullied everyone, Armstrong bullied Giro into building many prototypes for him over the years. The Rev V was never available to the general public, though its shape was (bravely or foolishly, take your pick) copied by other manufacturers. Ullrich had Armstrong on the ropes in 2003 when he out-time trialled him in the blistering heat of the south of France from Gaillac to Cap’Découverte. Armstrong looked pale, listless, eyes sunken, mouth rimmed with white spittle, his formerly devastating high cadence suddenly ineffectual while Ullrich, who loved the heat, looked masterful on his Walser TT bike, clad in the legendary Bianchi ‘celeste’, huge legs pumping, forearms pointing downwards like a dive-bombing Stuka. As Armstrong weakened, Ullrich got stronger. On his head he had squashed a funny-looking little thing with golf ball dimples and a tiny tail and kept going too low over his eyes. But everything else was awesome. After promising young Kazakh Andrei Kivilev was killed in a crash in 2003 that could have been avoided, and definitely need not have been fatal, the UCI made helmet-wearing compulsory for the pros, and that meant in time trials too. Up until this point time trial helmets had been flimsy thin plastic affairs and were known as head fairings. 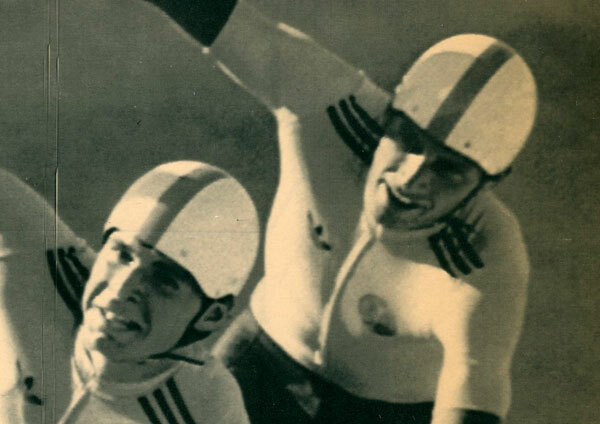 Making a time trial helmet aerodynamic and protective at the same time was potentially a big problem for the manufacturers, and the early efforts were embarrassingly tumid. But, as expected, their PR departments claimed these new mushroomy Mad Hatter creations were the fastest yet. Contador’s new Giro looked fast, and was fast, steak or no steak. 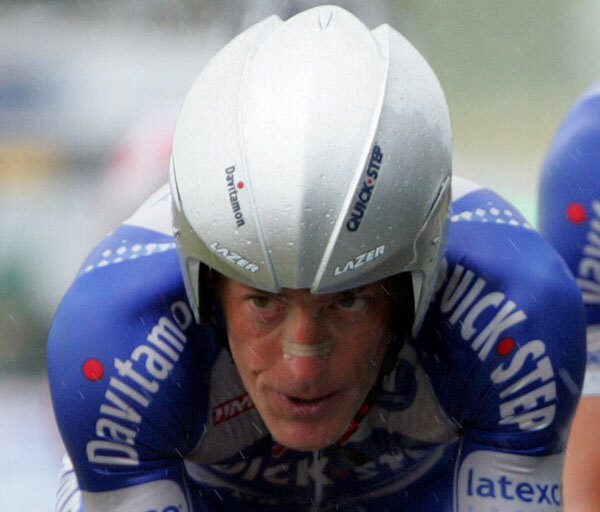 The first of the new generation of time trial helmets, it had a neatly integrated visor, covered the ears perfectly, had a shorter tail so as to perform better when the rider puts his head down looking for another gear, reaches for a bottle, turns round angrily to swear at his DS for driving too close, or any of the other situations that make it impossible to keep a long tail fixed in position on the upper back. Ingeniously, the helmet Contador rode in the road stages made looking backwards to see if your main rival had dropped his chain impossible. Not to be confused with German brand Casco, whose pisspot sprinter’s helmet Sir Chris Hoy has used to roaring, chest-beating effect. Italian brand Kask, which definitely sounds more German than Italian, is a relative newcomer to the pro peloton but getting the Team Sky gig will have given its sales a major boost. 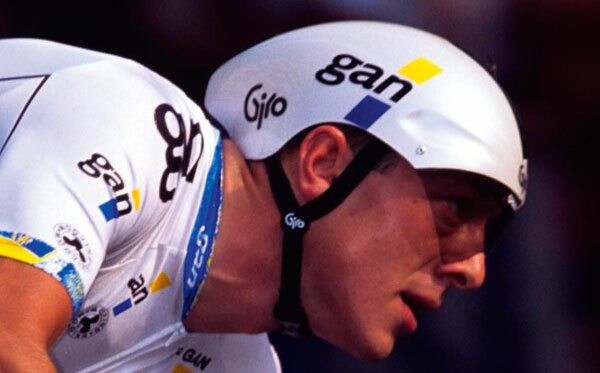 The Kask Bambino, worn by Wiggo and the others, is the stubbiest of the current crop and looks very like that one Chris Boardman wore in 1994, but with the ears covered. Talk about history repeating itself. 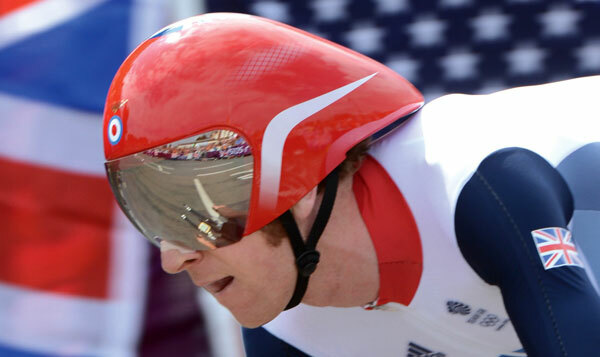 Like everything especially made for Team GB, the aero helmets are shrouded in secrecy. For instance, they’re made of “new materials” according to the UK Sport website. However, because the new UCI regulations say that all of the equipment must be commercially available, you could always buy one off the UK Sport website and find out for yourself what it’s made of. However, “Although most of this expenditure has been absorbed by the GB Team, the very low volumes of equipment produced, the construction methods outlined above plus the use of the very best materials means the price of these items is in line with their specialist nature.” In other words, they will be so expensive that it’s best for everyone if you just leave it. 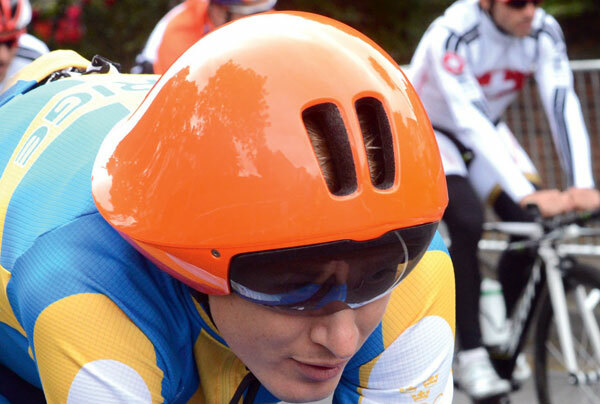 Is this the future of time trial helmets? Many people hope not, but the POC Tempor does have its fans if you google it and look far enough down the results. Those fans may not include Gustav Larsson, who debuted it for the Swedish team at the London Olympic time trial. His ride easily out-shockered the bright orange lump on his head. And he had helped develop it in the first place. Everything has gone a bit quiet for the Tempor since. The Swedes weren’t using it at the World Championships and POC doesn’t have a deal with any of the pro road teams. However, the science behind the Tempor is perfectly sound: instead of treating the head as an isolated shape, POC considered the whole body. If you like Abba, Saabs and Ikea it’s worth a look.